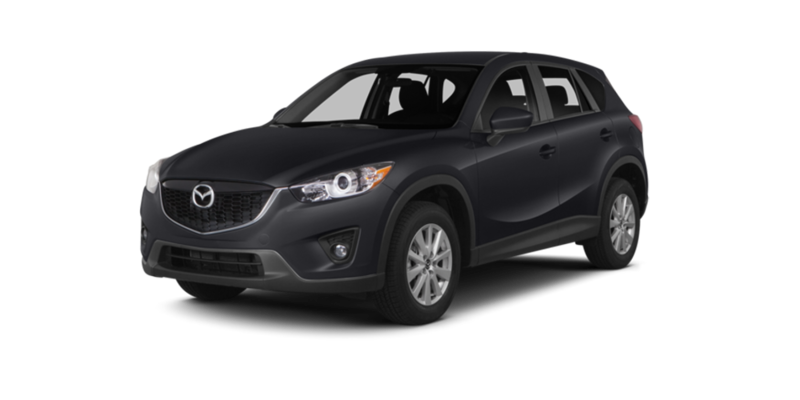 Palm Coast and Port Orange drivers in need of a new crossover often end up comparing the 2016 Mazda CX-5 to the 2015 Chevrolet Equinox. Each vehicle has its strong points, but the CX-5’s lower starting price, dramatically superior efficiency, and advanced safety features all help secure it the top spot again and again. Sport: Starting at $21,795, the Sport comes with everything Palm Coast and Port Orange drivers would expect from a crossover, including air conditioning, cruise control, remote keyless entry, and Bluetooth handsfree phone and audio capability. Touring: Starting at $ 25,215, the Touring trim includes the comfort of a 6-way power driver’s seat, the convenience of a 40/20/40 dual split, one-touch fold-down rear seatback, and a diverse array of features that comes with a MAZDA CONNECT infotainment system. Grand Touring: Starting at $28,220, the Grand Touring offers everything you’d expect from a top-of-the-line model. Clear, crisp sound is provided by a 9-speaker Bose Centerpoint surround sound audio system, your leather trimmed sport seats are heated in the front, and dual-zone automatic climate control allows for individual comfort zones throughout the cabin. The 2016 Mazda CX-5 offers a strong list of standard features with each trim while still keeping costs down for American drivers. In contrast, the 2015 Chevrolet Equinox starts at $22,120 and becomes progressively more expensive than the Mazda. The upper LTZ demands a minimum of $31,920, which is $3,700 more than a premium CX-5. 2.0L SKYACTIV-G: Producing 155 hp and 150 lb-ft of torque, even the standard engine boasts a dependable output. Coupled to a 6-speed manual transmission system, it makes 26 mpg in the city and a class-leading 35 mpg on the highway. 2.5L SKYACTIV-G: When you need a little more power beneath the hood of your CX-5, the 2.5L engine can accommodate. Churning out up to 184 hp alongside 185 lb-ft of torque, performance is phenomenal, and the 6-speed automatic transmission system ensures 26 mpg in the city and 33 on the highway. 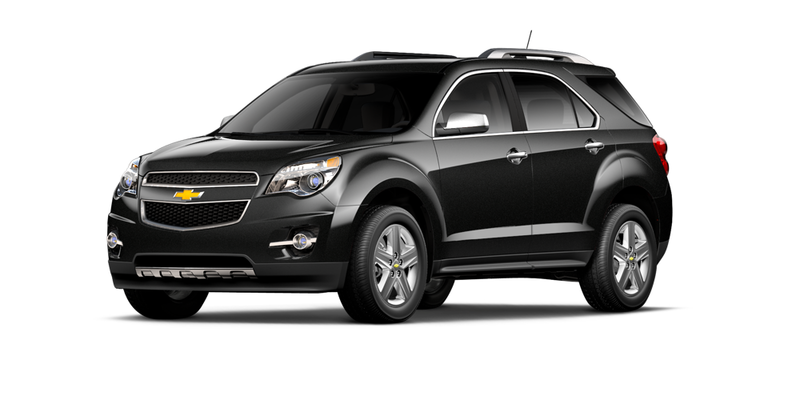 The 2015 Chevrolet Equinox also comes with a choice of two engines: either a 2.4L four-cylinder or a 3.6L V6. Power is slightly superior, but fuel-efficiency is drastically compromised. Even the Chevy four-cylinder returns 22 mpg in the city and 32 mpg on the highway, while the V6 drops those figures to 17 city and 24 highway. With 103.8 cubic feet of passenger space in contrast to the 2015 Chevrolet Equinox’s 99.7 cubic feet, there’s more than a little extra room for everyone to stretch out in the 2016 Mazda CX-5. That means that Palm Coast and Port Orange families won’t find longer journeys inconvenient, and they’ll also be able to pack more thanks to the CX-5’s generous cargo dimensions. Even with all seats up the 2016 model can take up to 34.1 cubic feet of cargo room, while folding all seats down allows for an impressive 64.8 luggage space. Compare those capacities to 31.5 and 63.7 cubic feet in the 2015 Equinox, and it’s obvious which vehicle makes the better choice. The 2016 Mazda CX-5 provides a greater amount of space for Palm Coast and Port Orange drivers, but it also ensures a high standard of technology, offering features that aren’t available with competitors like the 2015 Chevrolet Equinox. Adaptive Front-Lighting System: Your headlight beams actually adjust to the road ahead, turning to improve visibility when cornering by monitoring your speed and steering angle. Active Torque Split All-Wheel Drive: You can relax into a smooth, confident drive with the CX-5’s cutting-edge AWD system engaged. It adjusts power to the front and rear axles to provide flawless control. Unlike the 2015 Chevrolet Equinox, the 2016 Mazda CX-5 was named a 2015 Top Safety Pick+ by the IIHS. It performed admirably across every crash test, and it comes with a number of protection devices to keep you out of harm’s way. For example, the Smart Brake Support system will either minimize or prevent frontal collisions by automatically applying the brakes if a collision is unavoidable. This functions at speeds over approximately 10 mph, while Smart City Brake Support works between roughly 2 and 18 mph. To find out for yourself just how flawless a crossover the 2016 Mazda CX-5 is, you’ll need to schedule a test drive. Come down to Are man she towards today to enjoy the unmatched performance and features of this dependable family vehicle.